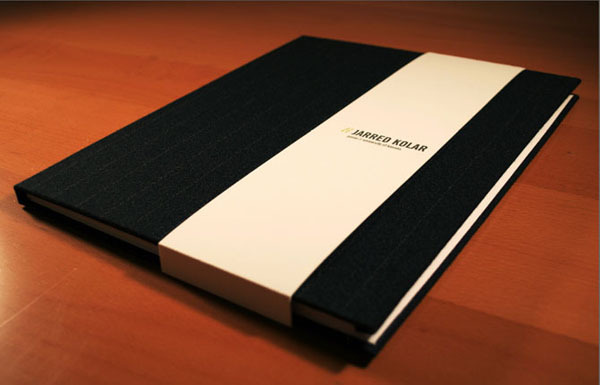 A student's portfolio is a document of challenges made and met, thinking and solutions to visual communication problems. The physical form of the portfolio is completely up to the student. Through a series of class discussions, individual meetings, work sessions, online resources, presentations/ roundtables by professionals, and the student presenting to professionals we work together towards creating artifacts that best represent their preparation to become graphic design professionals. The portfolio is the last communication problem the student has to solve before they graduate. In 2007, the Visual Communication major added portfolio to the graduation check sheet. It is an exciting class to teach – I have taught the class since it has been in the major. The major begins in the sophomore year and I teach most of my 2/3 load in the sophomore year. I enjoy introducing students to graphic design (sophomore year) and end with helping them prepare to enter the workforce (in the Portfolio class). Seniors are typically on a roller coaster of emotions: fear, excitement, anticipation and insecurities. It is my responsibility to try to keep them rational and on task. Listed on the class website is an outline of how to prepare all the materials they need to have ready to present to get a job – resume, letterhead, business cards, mailing labels, thank you notes, online web presence, a printed portfolio, etc. – links to interview, cover letters, networking tips. The website keeps everyone on task and alleviates some of graduating anxieties. The portfolio class is time intensive. All (30+) graphic design seniors and I meet as a class once a week. I give a series of lectures, organize guest lectures, presentations. Outside of class, I meet with each student individually 3 – 5 times (some students more often) throughout the course of the semester. Also, I host a series of roundtable discussions with recent KU grads coming to campus and sharing their graduating portfolios, job hunting experiences and the transition from collage to the workforce. I also coordinate professionals to come to KU and review student portfolios. Annual Senior Show: Because I have all the graphic design seniors in one class I am also a faculty advisor for the Senior Show. The KU Senior Show happens every May in Kansas City. All graduating seniors, in graphic design and illustration (45+) present their portfolios at the show and over two hundred area professionals, friends and families attend. Many students have been offered interviews, internships or jobs right on the spot. It is a great opportunity for the students to show their work but, it is also an opportunity for my colleagues and I to show the area design community what we are doing with the major, network, make new contacts and reconnect with alumni.